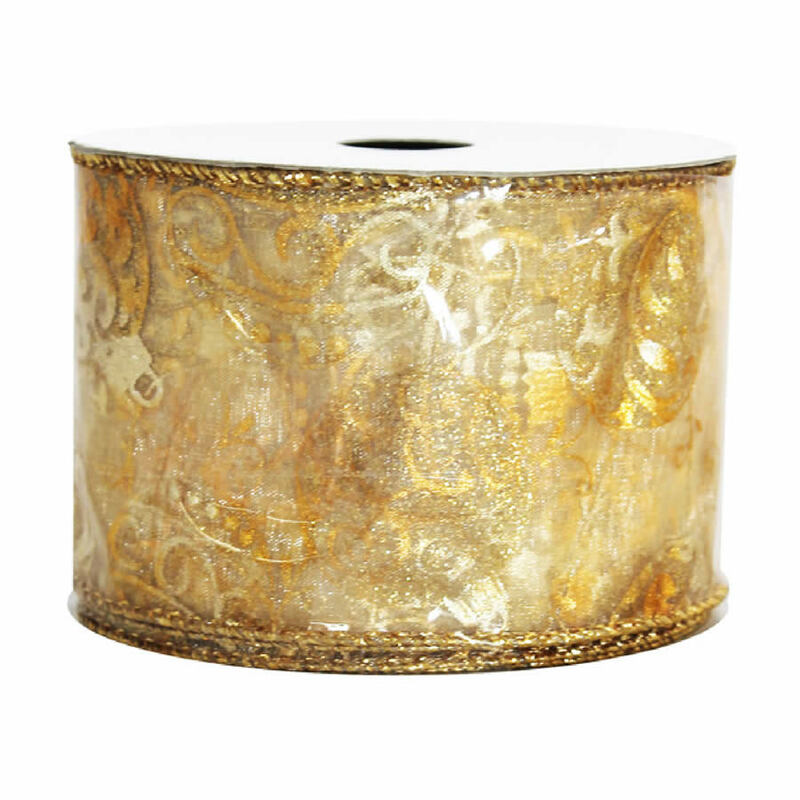 The Gold Bauble Sheer Metallic Ribbon offered in a 9-metre length roll, is light, airy, and elegant. 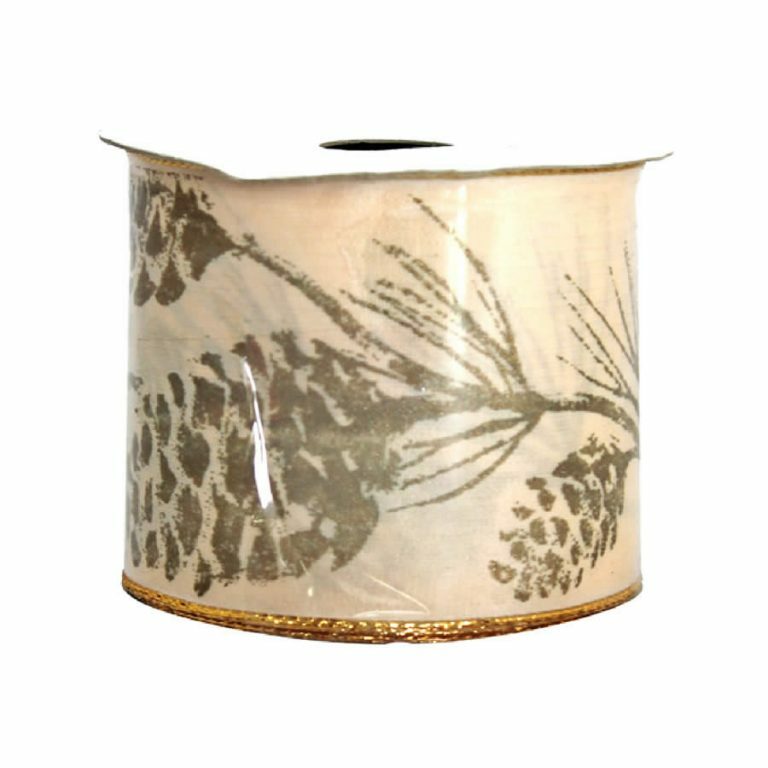 The sophistication of the gold-tone trims give this gauzy, chic ribbon a bit of holiday flavour. 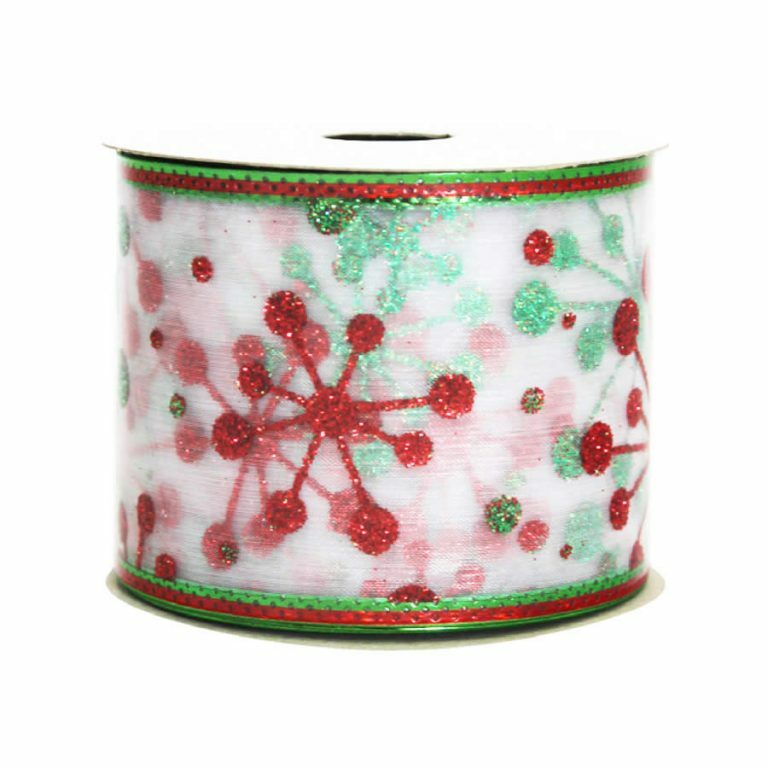 This ribbon is 7cm wide, which makes it perfect for creating those big, puffy bows that look so stunning on a holiday wreath or tied to the tips of your Christmas tree branches. 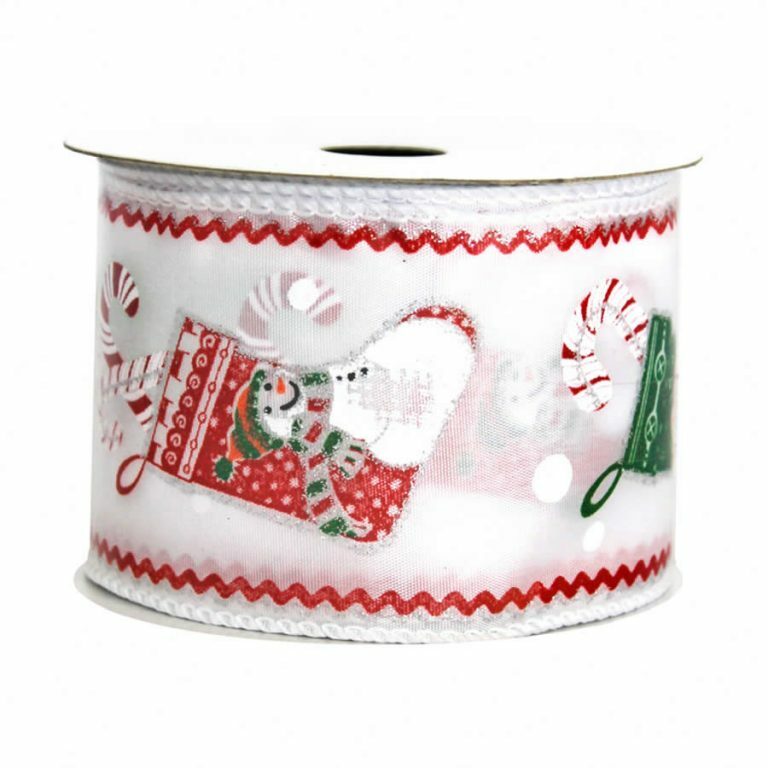 The ribbon is edged in a thin wire, so you can shape and form your bows or decorations, and they will maintain their shape during use. This ribbon depicts a golden pattern or holly swags and holiday baubles across the facade, which complements the fine golden braid that is used to obscure the wire edging. 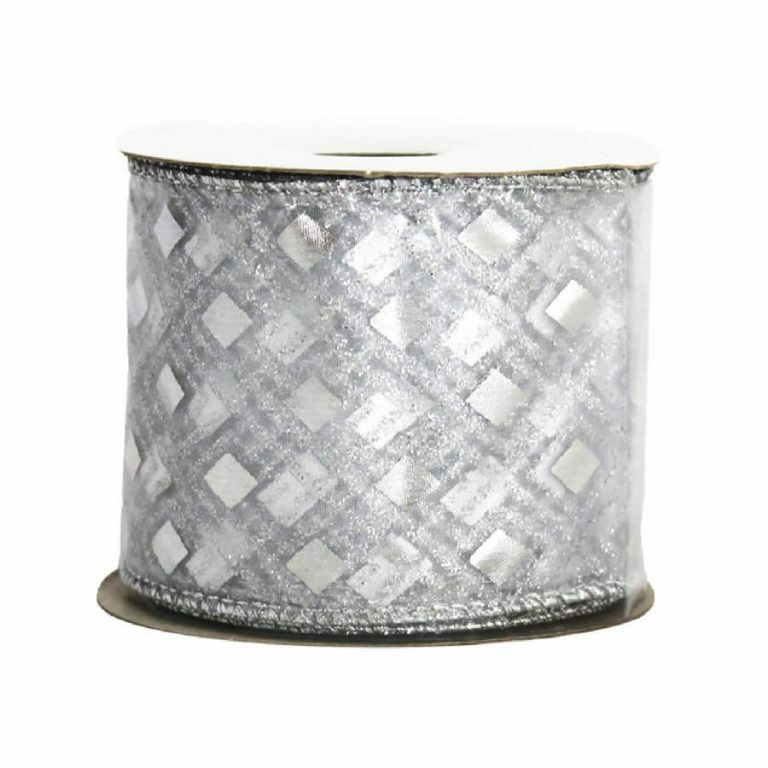 This ribbon is stunning, and you may consider decorating a simple green or grapevine wreath with a full, lush bow made from this ribbon- and nothing else! If you do want to add some ornaments, consider simple shatterproof gold baubles, offered and sold separately, to accentuate the stunning bow.